The newest YouTube Space in New York will include "BrandLab," a space for brands to mingle with creators. 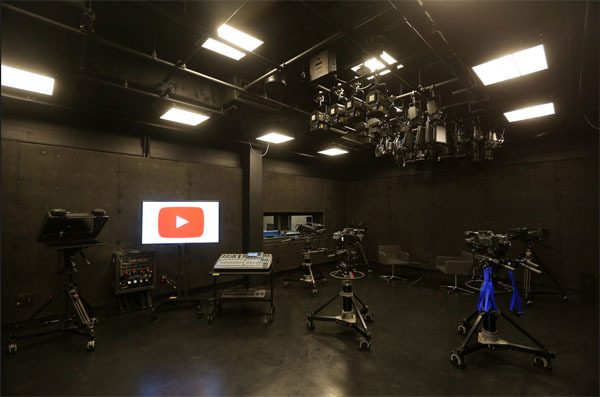 YouTube is opening its first studio in New York, which is slated to open its doors to creators on November 6th, reports The New York Times. Google has YouTube studios in Los Angeles, London and Tokyo, but the New York location will have a space called “BrandLab” — a place for brands to mingle with creators. This move highlights the platform’s increasing importance to advertisers thanks to its reach amongst young people, the clout of its stars and the rush of traditional media to get into the game. As a hypothetical, [Lance Podell, the global head of YouTube Spaces] said that a company like Maybelline could use BrandLab to host a day in which creators who traffic in beauty and makeup would be invited to collaborate. He uses the word “community” a lot, to underline the point that YouTube is not in the business of determining who teams up with whom or what they make. For brands that are increasing their digital budgets, BrandLab could be a powerful facilitator for them to meet relevant influencers. “Given the various tribes in New York — downtown performance artists, Brooklyn indie bands, Off Broadway actors, along with a host of more mainstream creators of media — it could make for an interesting, combustible mix,” according to The Times.